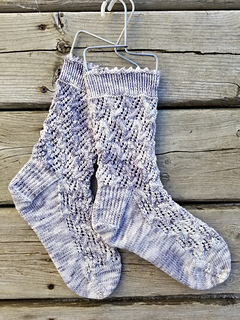 These top down lacy socks with a bit of cable are an interesting but not difficult knit! Picot edging adds that extra feminine touch. 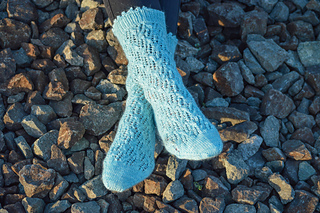 The lace gives that stretch so each of the two sizes will fit a wide range of widths. (S/M, and M/L). 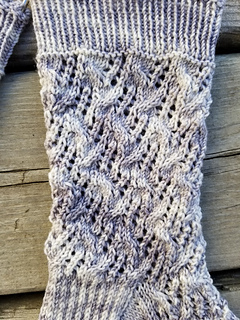 The lace pattern is given in chart as well as written format.